The Barrington School District Board of Education unanimously approved plans to refinance a 2004 bond during its regular monthly meeting Monday night at Avon School. The refinancing will allow the district to take advantage of lower interest rates and could save the district more than $400,000 over the life of the bond. Bond Counsel Ron Ianoale of McManimon, Scotland & Baumann, LLC, said the move would save $417,000 — or about $24,000 per year through 2029 — based on interest rates Monday, but there was no way to predict the precise interest rate on the day the refinancing takes place. When Business Administrator Sam Dutkin first began looking into refinancing options in June, the board expected the process would save about $250,000. Briefly discussed the new peer mediator pilot program at Woodland School, an effort run by the guidance counselor to help students mediate problems. Approved a settlement with Archway Programs that would result in a $28,805.85 reimbursement. The reimbursement will take place only if all involved districts approve of the settlement. 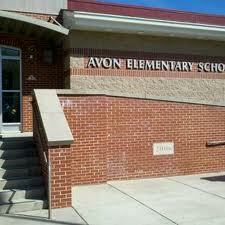 Discussed use of safety grant funds including possible replacement of a portion of the chain link fence near the parking lot at Avon, adding more security cameras outside each school and/or placing a keypad entry system from outside to the Avon auditorium to keep people from propping the door open to allow for easier re-entry. The board also was to hear from its auditor Monday, but that had to be postponed when the auditor was unable to attend the meeting. This entry was posted on November 20, 2012 by Barrington Bulletin in Schools and tagged school board.